The Federal Motor Carrier Regulations contain numerous rules regarding what kinds of tires may be used on different commercial motor vehicles and how they must be maintained. At a glance, the rules may seem excessive. However, they all have one goal in common—to prevent truck tire blowout. Truck tire blowout cases can be challenging to handle in light of trucking companies asserting the unavoidable accident defense. 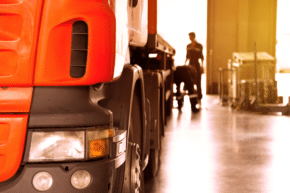 Therefore, it is important that your truck accident lawyer be familiar with the various motor carrier regulations so that he/she may use them to establish liability regardless of the defenses asserted. Anytime a big rig has a tire blowout that results in an accident, the defense will always argue that it was unavoidable. The driver will claim he had no way of knowing it was going to happen. If you accept this position as true, then neither the driver nor the company are legally liable for the damages done as a result of the collision. The unavoidable accident defense is not unique to trucking cases. * It is asserted in all types of motor vehicle collision cases. However, truck tire blowout cases are unique in that that there are numerous Federal Motor Carrier Regulations that can be used to show the driver should have known of the pending danger had he/she followed the law. Therefore, in a tire blowout case, it is critical that you hire a truck accident attorney who can investigate the cause to determine whether this was in fact a predictable and/or preventable tire blowout accident. (d) No bus shall be operated with regrooved, recapped or retreaded tires on the front wheels. (f) No motor vehicle may be operated with speed-restricted tires labeled with a maximum speed of 55 mph or less in accordance with S6.5(e) of FMVSS No. 119 at speeds that exceed the rated limit of the tire. As you can see from above, these rules are very detailed as to exactly what tires may be used when and how much treat is required. But these are not the only rule pertinent to tires. The FMCSR require drivers to do a pre-trip and post trip inspection before and after every trip. But do you really know what that means? A proper inspection requires way more than just walking around, looking and kicking the tires. The time it takes may be the very reason that truck drivers sometimes fail to do a proper inspection. First off, to do a proper truck tire inspection, the drive needs to have the proper tools. The truck driver needs to have a working air gauge, a tread depth gauge, a 3/8 inch bulge gauge, a blunt probe, pliers, and chalk or a crayon to mark issues in tires. Each of these tools enable to driver to inspect of things that the naked eye cannot discern on a simple visual inspection. It is absolutely critical that truck drivers learn to do a proper DOT tire inspection. The tire must be visually inspected for any punctures, cuts, exposed cords, sidewall bulges, surface cracks and tread separations. When issues such as a sidewall bulge are identified, the proper gauge must be used to determine whether the bulge requires that the tire be taken out of service. Additionally, if there is any sign of sidewall separation, the tire must be removed. Wear patterns must also be evaluated to determine whether there may be alignment or suspension issues. Nails or other foreign objects that puncture tires must be identified and removed. If the foreign object penetrates deep enough to cause a leak, the tire must be removed. Water should be used to determine whether there is event he slightest of an air leak. While truck drivers may use regrooved tires, they may only do so on certain axels. They are generally not allowed on busses. Furthermore, each truck axel must use the same type of tire—biased or radial. Assuming the tire passes visual inspection, the driver then, must check the air pressure to ensure tires are in the appropriate range. Each of the above tire issues are warning signs that a tire is in need of replacement. Failure to conduct a proper inspection of the truck tires is like turning a blind eye to an obvious warning. As you can see from above, attorney’s handling truck tire blowout cases need to be versed on the Federal Motor Carrier Regulations pertaining to tire requirements, maintenance and inspection. A truck accident lawyer needs to understand what a proper DOT tire inspection requires of a truck driver so that he/she knows the right questions to ask to see if a proper inspection was done. Truck tires rarely just suddenly explode for no apparent reason. They tend to wear over time. They give warning signs that can be seen upon proper inspection. Hire a truck accident attorney who knows the rules and knows what questions to ask to determine if the truck driver looked for the warning signs before he got behind the wheel of a big rig. Call Simmons and Fletcher, P.C. today. Who Is At Fault In a Rear-end Accident?